Large jar candles sell for a substantial amount, and if they are in embellished containers or have unusual fragrances, they often cost much more. 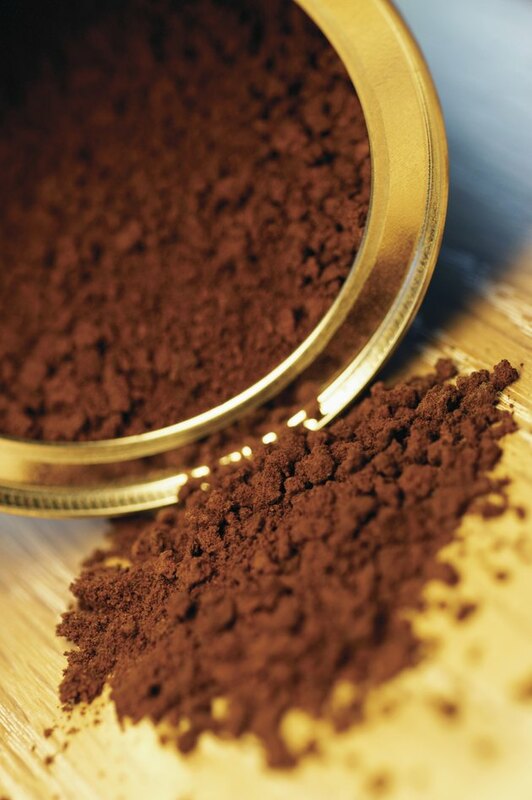 To save money and create a candle to your custom requirements, you can make your own homemade candle in a coffee tin. Transform a standard household decorative item into an eye-catching, crafty display piece. Customize your candle by making your own fragrance or by leaving it unscented. Supplies are readily available at larger craft stores as well as online. When the coffee runs out, clean out the tin and turn it into a homemade candle. Peel the label off the coffee tin if desired. Wash the can with warm, soapy water. Rinse it thoroughly and let it dry completely. Cover the tin with paint. Apply two coats of spray paint meant for metal in a color of your choice and let this dry or apply one coat of metal primer and two to three coats of high-gloss acrylic paint. Let each coat dry before applying the next. Wrap the tin with decorative craft paper or wallpaper samples instead of painting it. Measure the height and diameter of the tin and cut a piece of paper to size. Apply craft glue or decoupage to the back of the paper and the coffee tin with a foam brush and then wrap the paper around the tin. Use your fingers to smooth out any creases or bubbles. Apply two to three additional coats of decoupage to the paper to seal it and give it a glossy finish if desired. Wait for each coat to dry before applying the next. Create a striped candleholder by covering the coffee tin with colorful tape. Wrap strips around the coffee tin until it is completely covered. Apply two to three coats of decoupage, letting each coat dry before applying the next, with a foam brush if desired. Add decorative touches to the tin with clear-drying craft glue. Apply gems, seashells, letters or similar items. Opt for pieces that are sized to sit flush against the tin or are flexible enough to curve around it. Calculate how much wax you need based on the volume of the coffee can. Approximately 1 pound of wax creates a 20-ounce candle by volume. The average coffee can is 12 ounces by volume, which means you'll need about 10 ounces of wax. Measure the height and diameter of the coffee tin and buy a pre-tabbed cored wick based on the measurement. The wick packaging indicates the size range for which the wick will work. Cut the wick 2 inches longer than the coffee can is tall. Tie the end to a craft stick. Melt the wax over a double boiler until it reaches 190 degrees, or the temperature recommended by the wax manufacturer. Add 1/4 teaspoon of stearin, or another candle additive, per pound of wax. A candle additive allows you to add more fragrance than you normally would because it prevents the wax and oil from separating. Stir fragrance oil and candle dye into the melted wax. One ounce of fragrance to every pound of wax is a safe ratio; however, you can add more if you use stearin or a similar additive. Follow the manufacturer's directions to determine how much dye to add to the wax, as it can vary depending on the brand and type used. Remove the wax from the heat. Dip the base of the wick's tab into the hot wax and then center it in the middle of the coffee can, resting the craft stick across the opening to keep the wick in place. Push the tab gently into the bottom of the tin. Let it set until the wax hardens. Reheat the wax to the recommended temperature and then pour it carefully into the coffee tin, filling it all the way to the brim. Adjust the wick using the craft stick, if necessary, to keep it centered. Do not pull the wick upwards or work it too roughly, as it can come loose. Let the candle cool completely. Place it in the refrigerator to speed up the process. Pull up the craft stick and trim the wick to about 1/4 inch before burning.